The Columbia Chamber’s Annual Golf Tournament is one of the top partner events of the year. 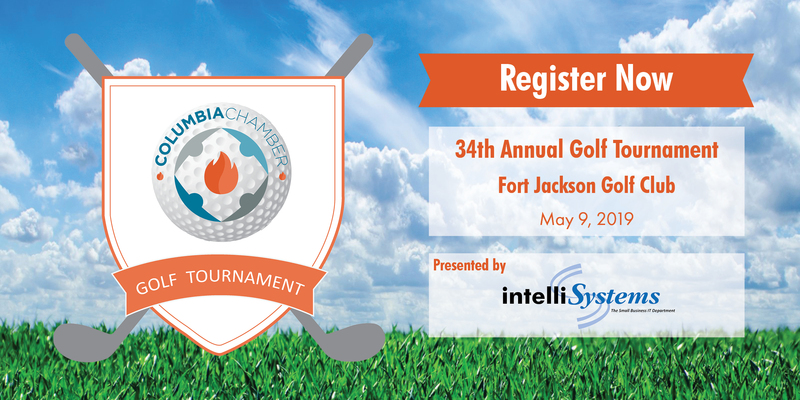 Come spend a day playing golf with the movers and shakers of the Columbia business sector. The event is limited to 256 players. These players have the opportunity to spend the day on the course with other Partners, while enjoying the hospitality of our sponsors. Spend the day with Columbia’s business leaders in a casual and laid back atmosphere. Sponsors are recognized on the tournament welcome sheet, given to each golfer, as well as on signage at their designated holes. For more recognition, we recommend sending a representative or two from your company to welcome players at your tee/hole and interact with them throughout the day. It’s a really fun time and a great chance to network with members from across the Midlands.